Enjoy the best inspirational, motivational, positive, funny and famous quotes by Alec Wilkinson. Use words and picture quotations to push forward and inspire you keep going in life! 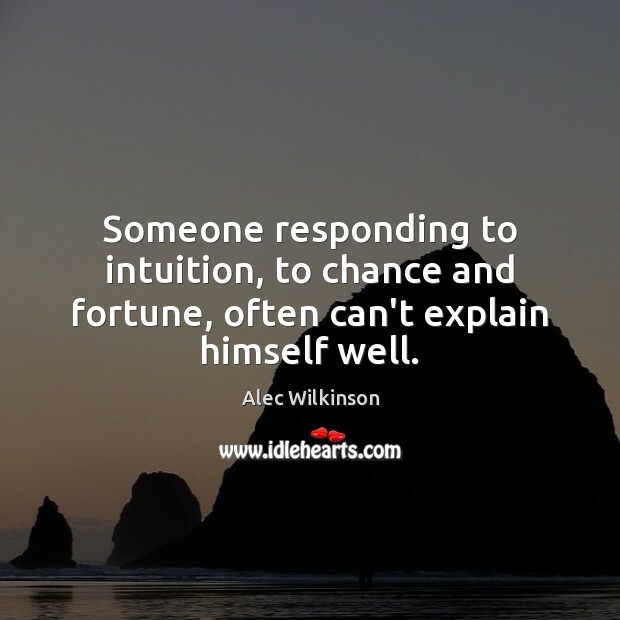 Someone responding to intuition, to chance and fortune, often can't explain himself well. 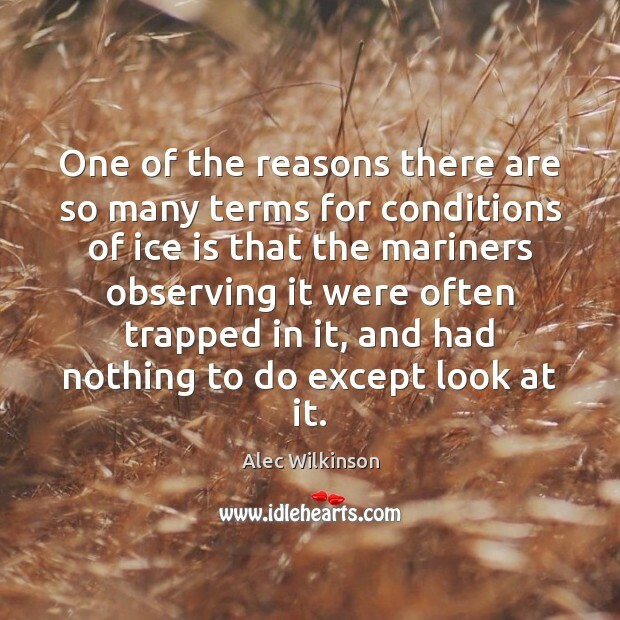 One of the reasons there are so many terms for conditions of ice is that the mariners observing it were often trapped in it, and had nothing to do except look at it. 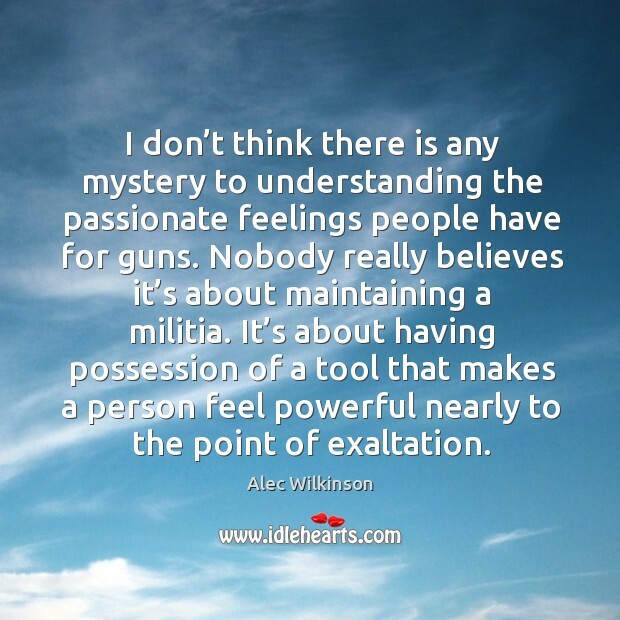 I don’t think there is any mystery to understanding the passionate feelings people have for guns. Nobody really believes it’s about maintaining a militia. It’s about having possession of a tool that makes a person feel powerful nearly to the point of exaltation.